> Bentley considering Bentayga SUV in coupe form? 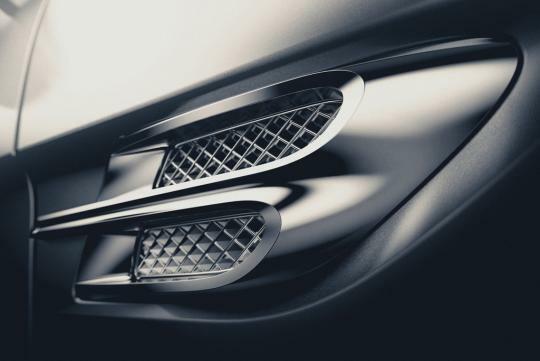 Bentley considering Bentayga SUV in coupe form? Bentley may be considering a coupe variant of its upcoming Bentayga SUV, according to a speculative report based on executive comments. The Bentayga has not yet been formally unveiled, but the company is said to be already looking down the road at the next model. Chief executive Wolfgang Duerheimer suggests the clear possibilities are an entirely new model or a new variant. "The growing segment is SUVs, Convertibles are going down. Sports cars are going down. Saloons too." The comments have been interpreted as a sign that the next mystery model could be a coupe-like counterpart to the Bentayga, though previous rumors have pointed to a three-row package as another possibility. The latest information also appears to contradict strategy hints dating back to mid-2014, when Duerheimer hinted at a new two-seat sports car or another traditional car model to follow the SUV launch. Adding additional body styles would allow Bentley to take advantage of the $1.2 billion development investment in the standard SUV. All variants are expected be built upon the same platform that will underpin several other next-generation VW Group models, ranging from the Volkswagen Touareg to the Porsche Cayenne and the Audi Q7. Another option in the Bentayga family is not expected to arrive until at least 2019, three years after the initial SUV hits the road.